Truth in Science Counts" Dustan Soul Adventures is a program developed by Dale Miller / TruthCounts. We know of versions 5.1, 1.0. Version 1.0 is available for free download at our site. 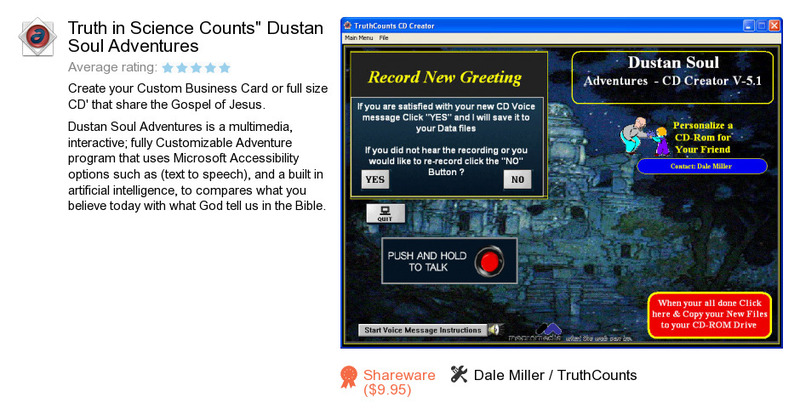 Truth in Science Counts" Dustan Soul Adventures package has a size of 7,736,653 bytes. Dale Miller / TruthCounts also publishes "Only The Facts Dustan Soul Adventures.